Wow, time does fly by. It’s been 3 years since my last blog post in 2013! Does anyone actually read blogs anymore?? I thought I’d revive this little site of mine, just as I am about 2 weeks away from the arrival of Baby No. 2. Yes, I’ve waited almost 5 years to have a second child. It was by choice. My husband and I had planned for this, we agreed that we’ll decide before Dani turned 5 whether or not we’ll try for another child. The timing was right – Bella had finished its run on NTV7 (so I’m without a permanent job at the moment), I’m still on the right side of 35 (34 to be exact), Dani has become a very independent child (she feeds, showers, dresses, goes to the toilet all by herself), and I suddenly had the longing to not sleep through the night again (NOT)! So here we are, 38 weeks into my second pregnancy, which surprisingly has been really smooth sailing. Unlike when I was pregnant with Dani, where I was sick every day for the first 4 months, I didn’t experience any morning sickness – a little nausea here and there but no vomiting. I’m still actively working – recording voiceovers, attending events – and also working out till now and have not experienced severe backaches or heart palpitations like I did before. My tummy is significantly bigger this time around and although I feel heavier and a little clumsier, I’m not as afraid to move about and be active, like I was when pregnant the first time around. No longer a new mum, hopefully, with the limited experience I have, I can go through this pregnancy and mummy hood with more confidence, and not go through postpartum blues again. I didn’t realise this before when I was pregnant with Dani, but the most popular question to ask after congratulating a pregnant mummy is – it is a boy or a girl? I think I was also guilty of asking that same question whenever I bump into a pregnant friend previously. But now that I am pregnant myself, I find it a little annoying that the first thing everyone wants to know is the gender of the baby! 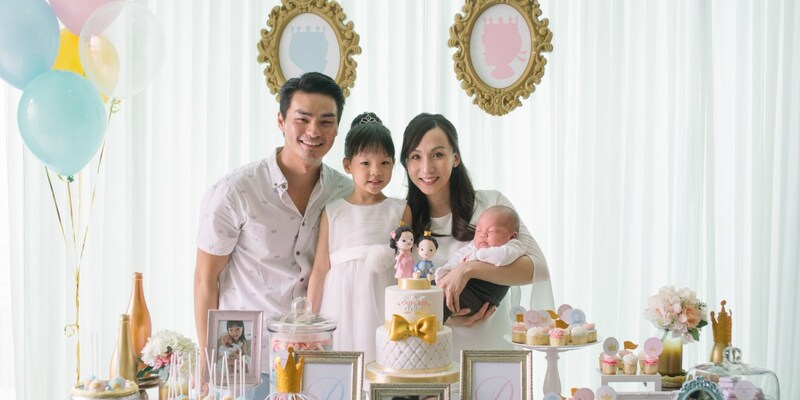 Initially, I was a little hesitant to reveal baby No.2’s gender because I wanted it to be a surprise. Only my family and some close friends knew. I had planned to do a big reveal only when baby comes out, but I think the reviving of my blog is as good an excuse as any to tell everyone that………we’re having a BOY!!! 女 and 子 makes 好! It’s a cheeky monkey baby boy! When I found out that I was pregnant, I did hope and pray that it will be a boy, not because I’m a traditionalist or that the parents are longing for a grandson, but I wanted to experience mummy hood in a different light. I wanted to buy boy clothes. I wanted a mummy’s boy. A lot of people have told me that boys are more difficult to handle than girls and I am well aware that my boy will probably be naughtier compared to Dani, but I’m prepared for it. And big sister Dani said she’s ready to help me out! 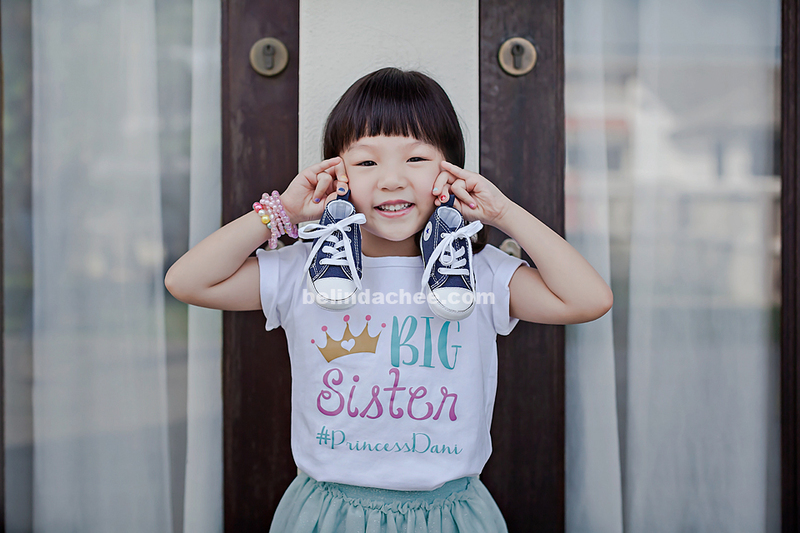 Dani’s ready to be a big sister! So here’s hoping for a smooth sailing pregnancy all the way till delivery and that a healthy, happy baby boy will complete our little family very soon! P.S. : Product sponsorship and product reviews for mummy and baby are welcomed! Please email me at [email protected]! ? Safe delivery!!! You will now realize that shopping for girls are more fun. Haha. At least there’s much more choices around compared to boys, simply look at the sales aisle between girls vs boys! ? Have a safe delivery! Can’t wait to see baby boy! congratulations! !